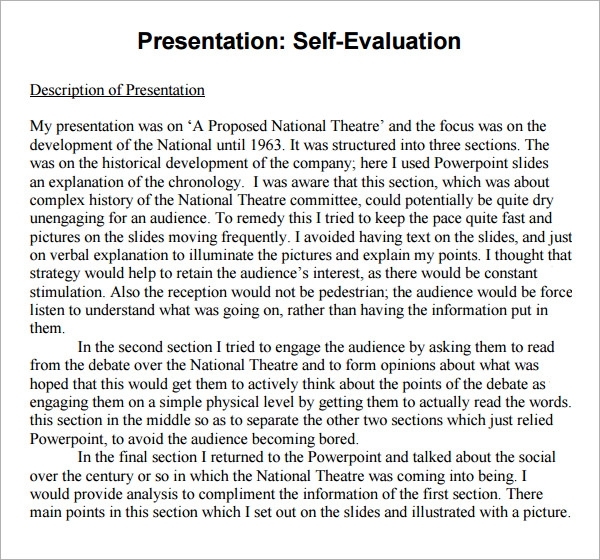 It may be necessary to evaluate a presentation before presenting it to the audience out there. The best thing to do therefore after you are done making the presentation is to consult with the review team in the organization and have the presentation reviewed before the actual presentation day. There are sample presentation Evaluation Plan forms that you can use to conduct the evaluation, and finally end up with the correct data as necessary. 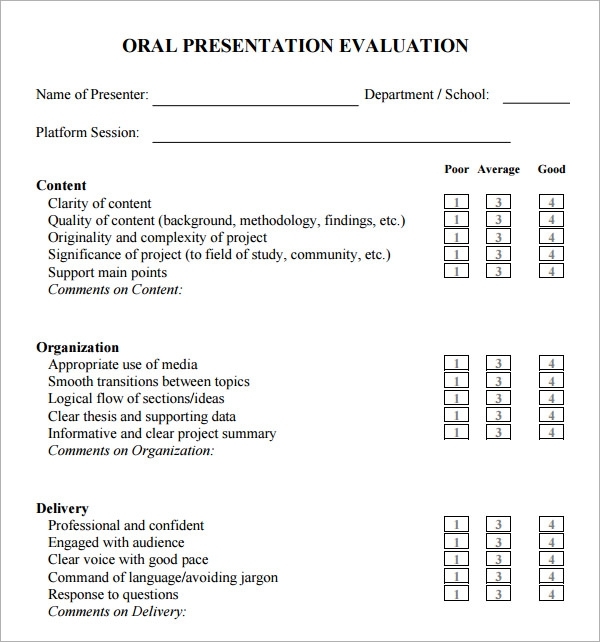 Instead of creating a form from scratch, simply browse through the templates available, download free and customize for personal use then use for your presentation evaluation. It is important that you focus on core details so that you do not leave out anything important. 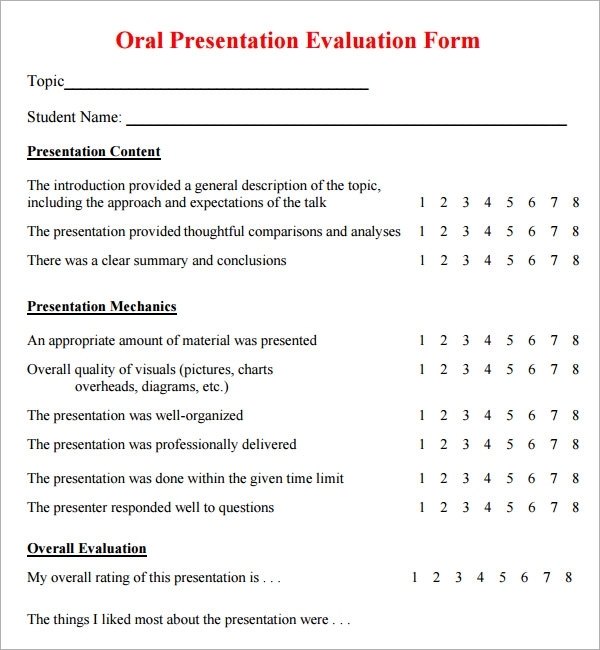 Why Does the Presentation Evaluation Template Needed? 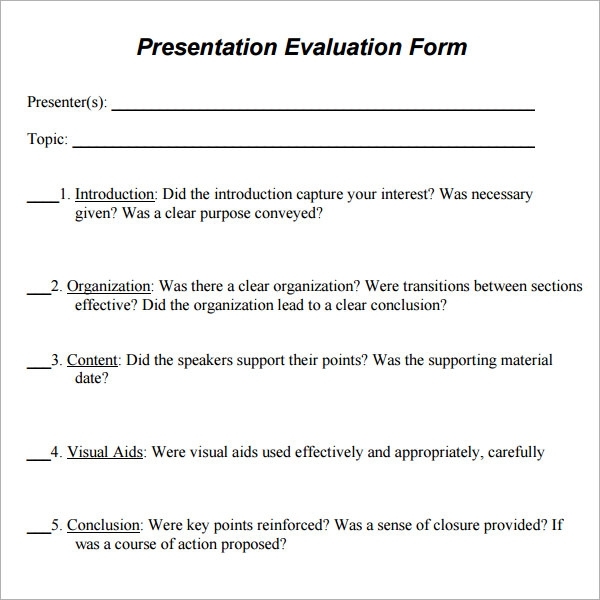 When Does the Presentation Evaluation Template Needed? 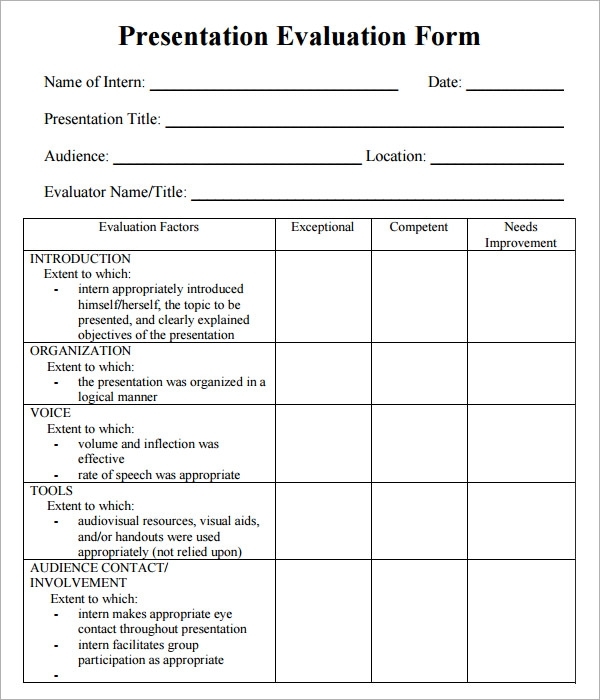 The presentation evaluation template is needed before delivering the final presentation to the audiences. The evaluation is done in order to see if there’s any improvement in any area of the presentation. 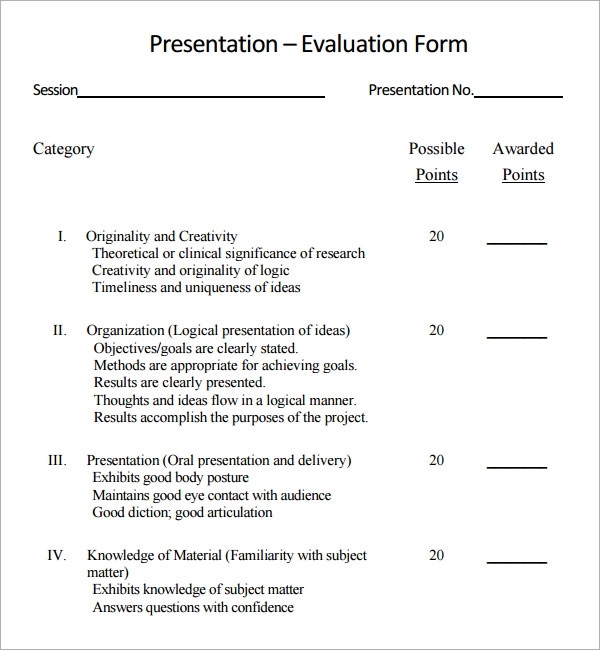 These templates help in evaluation the specific areas of the presentation also with ease so that an effective presentation evaluation can be done. With the help of these templates, you can effortlessly get the feedback and improve the lacking areas in order to deliver the best and effective presentation finally in front of the audiences. It is also needed if the presenter is nervous before the presentation, by giving the presentation once before that may ease him/her out after getting his/her presentation evaluated.